What an absolute ! *@£ of a game. What a horrible, hair-pulling, teeth-gnashing, eye-rolling, brain-burning swine bag of a game. Oh? What? You want to know why? Here's the thing. Conquest isn't a bad game. It's actually a very good game. It's probably the best game that I intend to speedily remove (probably via the window) from my collection of "vintage" games. I picked up my copy in a charity shop, and I have to admit, I was pretty pleased with myself. 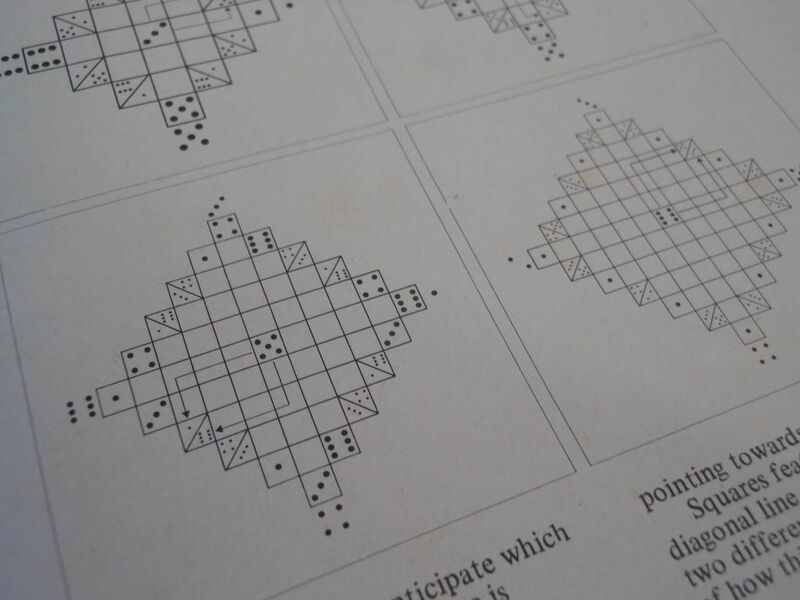 Scoring an old, two-player strategy game for a couple of quid always puts me in a good mood. Scoring an old, two-player strategy game that comes with 18 MASSIVE dice... Well, that's icing on the cake. A cake that tastes of bitter disappointment, but a cake, none-the-less. You see, Conquest is basically the work of a mad genius who decided Chess wasn't challenging enough. The game is deceptive in its simplicity. 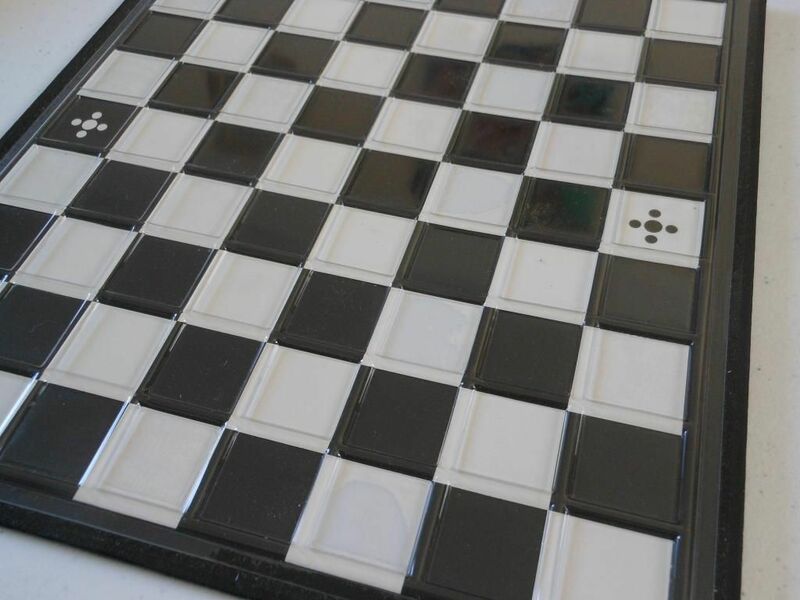 You have a 9 x 8 chess-style grid board, and each player has nine oversized dice. And I don't just mean a bit oversized. I mean you could load them into a trebuchet and shatter the wall's of Helm's Deep with them. Each player gets eight regular dice, and one special dice that has a star symbol on every face. And then make a sub-optimal move because your head started to hurt too much. This is because, on your turn you can move one of your dice. The dice can only move orthogonally, and must move exactly the number of spaces shown on its uppermost face. You can change direction, but you can never move more spaces than the number shown at the start of the movement. The real kicker is that dice move by "tumbling." Basically, rolling. For example, a dice has the number two showing. It moves forward two spaces. The two is now on the bottom face of the dice, and the number five is on the top face. Of course, this means that on your next turn that dice would have to move five spaces. This is just a completely brain-bursting concept, especially when you consider you can change direction during your move. I have a dice with the six showing. I move forward two spaces, then left once, then forward once, then left twice. Which face is now showing on the top? You have exactly the amount of time it takes for another person to get bored to answer. It's just soooooooooo difficult to plan ahead, especially when you consider the order in which you make moves will change which dice face is showing at the end of a move. For example, moving left twice and up once will get you to exactly the same space as if you moved up once and then left twice, but the face of the dice that ends up on the top will be different. It takes too much effort to figure out which face will be showing at the end of your move. You feel like you are not playing against your opponent, you are playing against the dice - against the mechanism of the game. I mean, the purpose of the game is to win by taking your opponent's specially marked star dice (by landing on it by exact count), or by moving one of your dice onto the space your opponent's star dice started on. This sounds simple enough, but it is so bloody difficult to plan your attacks in advance so that you can hit the spaces on the board that you need to. The board - note the specially marked spaces you hit to win. What you have here, is a game that is fiendishly simple. It's elegant. It's got hardly any rules. And it is far too clever for its own good. I have to get rid of it, simply because I don't have any fun with it. But if you have the kind of brain that can work out which face on the dice will be showing after every move. If you see the world like Neo sees the Matrix... Maybe, just maybe, this is one of the finest two-player strategy games you can get. Yes I do. I had this game once and I suspect it is now decaying under several layers of dust in my brothers loft. I was a fiendish chess player, and I found Conquest a fascinatingly clever game, remember it with fondness. Thanks for reading. 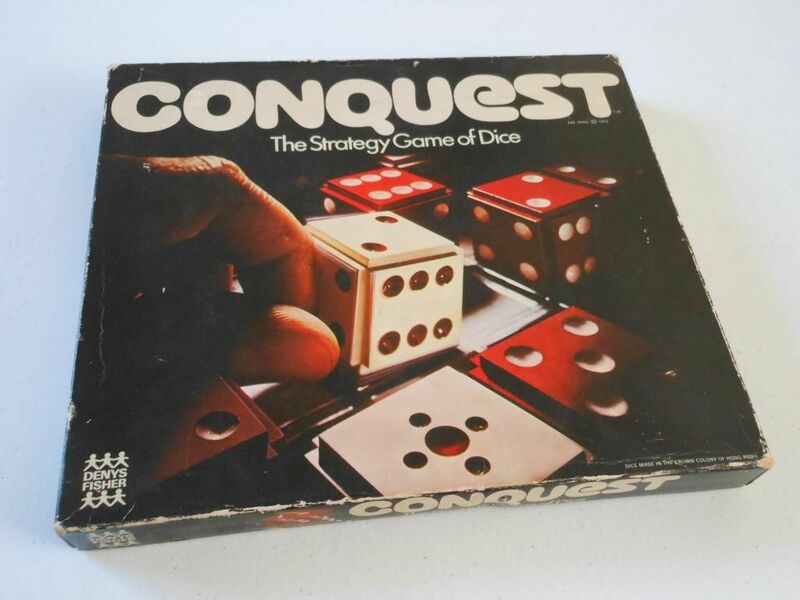 Conquest is certainly clever and fascinating, but for me it is also an exercise in frustration. I'm sticking with Chess and Navia Dratp. I recently picked up this game but there are no instructions.. and i cant seem to find a digital copy either, is it impossible to play? Take turns moving one dice. 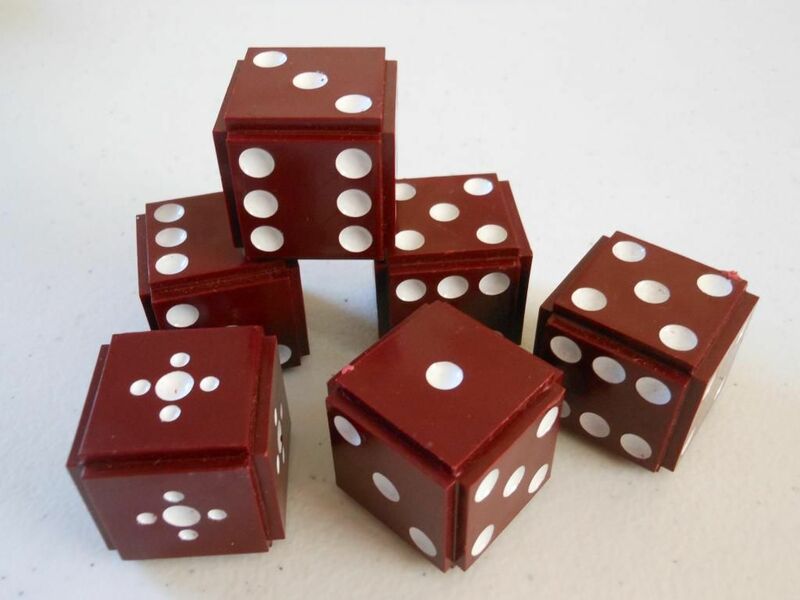 You move by "rolling" the dice into an adjacent orthogonal space, and you can move the number of spaces shown on the top face of the dice when you start your movement. Take pieces by landing on them. Win the game by taking your opponent's star dice, or by landing on your opponent's star space. Just bought this one in a thrift store because my 9 year old son loves abstract games. Now, after reading this I'm afraid of this simple looking game. Love the way you write, it made me laugh. Thanks for that. It's a deceptively simple-looking game. I hope you and your son have fun with it. a couple of years ago I chased a copy of this game up... was quite hard to find out here in Aus, but find it I did. A game that you will either love or hate, or even love to hate. But once again I own the little master piece of brain damage.... now I just need some as mad as me to play. Have fun with your copy! Only 563 moves? Must be child's play.